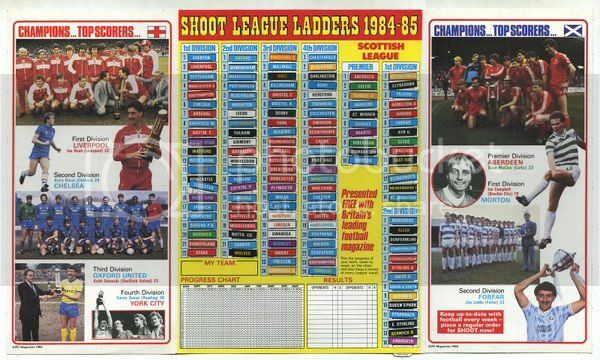 I loved these League Ladders in the '80s, but to tell you the truth I'd forgotten all about them till now. Saw this pic on Twitter today. Couldn't have been around for many seasons I suppose? Anyone else got memories of these?! Excellent! I had these up on my bedroom walls every season! Was a great game for my youngster. poshnipper wrote: I remember them well. looks like football games are in my blood, haha!! I don't remember them, unfortunately. They were after my time in England.